Nashville Ballet will celebrate National Dance Day for the seventh consecutive year on Saturday, July 29 by offering free sample classes and choreography provided by the Fox hit reality show So You Think You Can Dance (SYTYCD). The day will feature a sample of Nashville Ballet's regularly programmed Community Division Adult Classes (ages 18+) and Community Division Youth Classes (ages 8-18), but all ages are encouraged to participate on July 29 in honor of this annual nationwide celebration of dance. National Dance Day will take place at Nashville Ballet’s Nashville location (3630 Redmon Street Nashville, TN 37209). 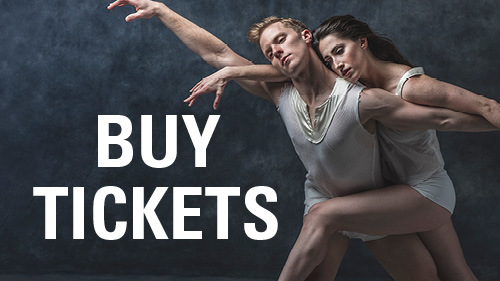 Attendees will receive an exclusive 50% off discount on Nashville Ballet’s Community Division Adult class packages. Adult classes are offered on a rolling basis all year at locations in both Nashville and Brentwood. Class packages can be used on any of its adult offerings, including DANCEFIX, ballet and contemporary (all of which will be offered on National Dance Day). National Dance Day offers a preview of regularly programmed School of Nashville Ballet classes. Adult classes are offered all year, and classes for ages 2-18 of all experience levels begin Monday, August 14. Click here for more information about School of Nashville Ballet. No registration is required for National Dance Day; drop-ins welcome. Participation will be offered on a first-come, first-served basis. Launched in 2010 by SYTYCD co-creator Nigel Lythgoe, National Dance Day is an annual celebration that encourages Americans to embrace dance as a fun and positive way to maintain a healthy lifestyle.